My house in Baltimore, Maryland was built in 1865 and is surrounded by acres of wooded parkland. I've been here seventeen years and I'm always intrigued at what I come across. I was clearing brush yesterday and in the space of five minutes found four old bottles lying on the ground just waiting to be picked up. 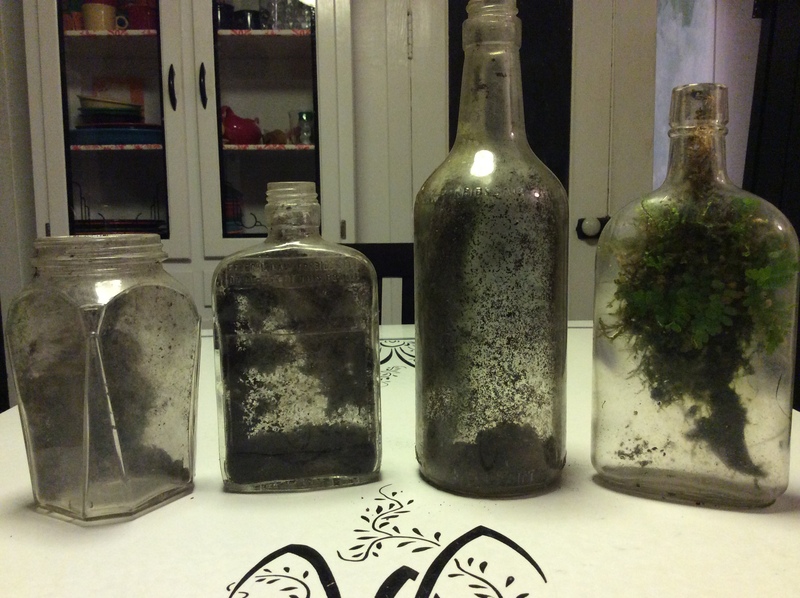 All perfect except for the one with the miniature fern in it, which is slightly cracked. I'm pretty certain they have no monetary value but they are exciting and valuable to me because they help me feel connected to those who came before me. Modest little pieces of history, out there waiting to be found. Now if I could just figure out where the privy was! 1. On bottom: "Ball", "7", "PAT D-87681". Screw top (missing). 1. 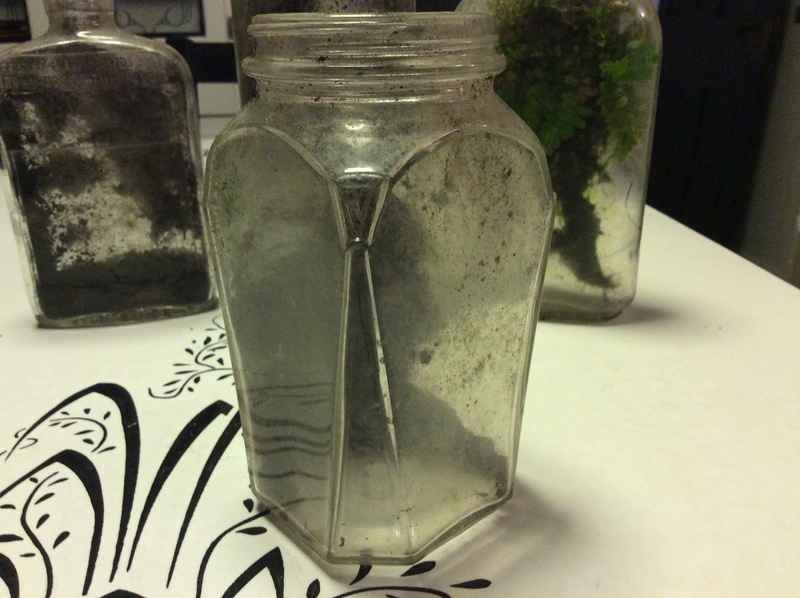 Art Deco "packing jar" (screw-top jar for consumer goods such as pickles etc). 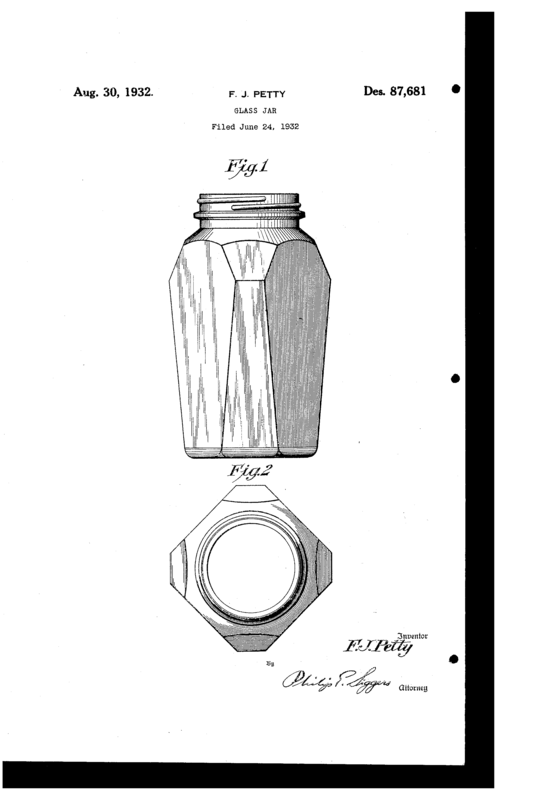 Patent issued to Fred Petty in 1932. 2: A in a circle mark stands for Armstrong Cork Company (Glass Division). The underline means it was manufactured in Dunkirk, Indiana. Mark used between 1938 and 1969. The "70-41" indicates it was manufactured in 1941. 3: B in a circle stands for Brockway Glass Company, Brockway, PA.
2 and 3 are liquor bottles, 2 from 1941 and 3 from 1943. 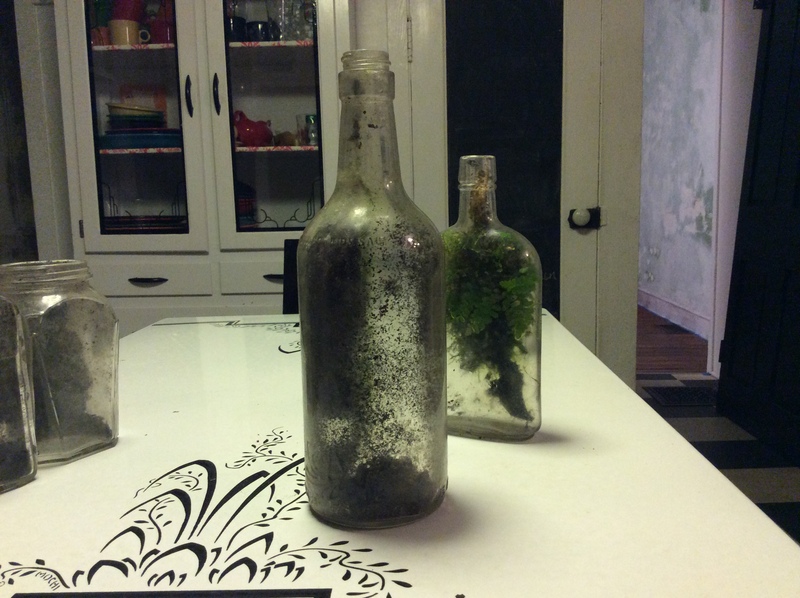 4: machine made bottle with a cork closure, most likely made after 1910 and before 1930. Hi and thanks for posting all the research that you have assembled. 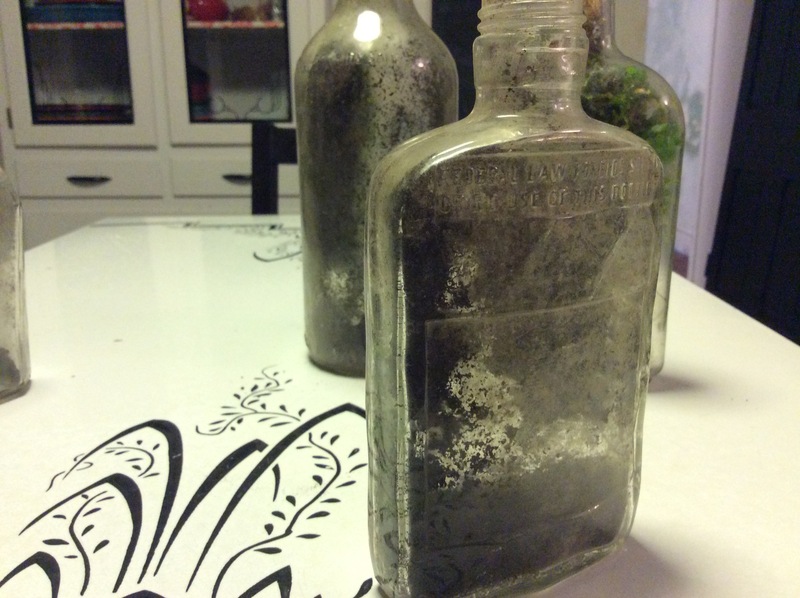 There might just be some older bottles hiding on that property of yours! 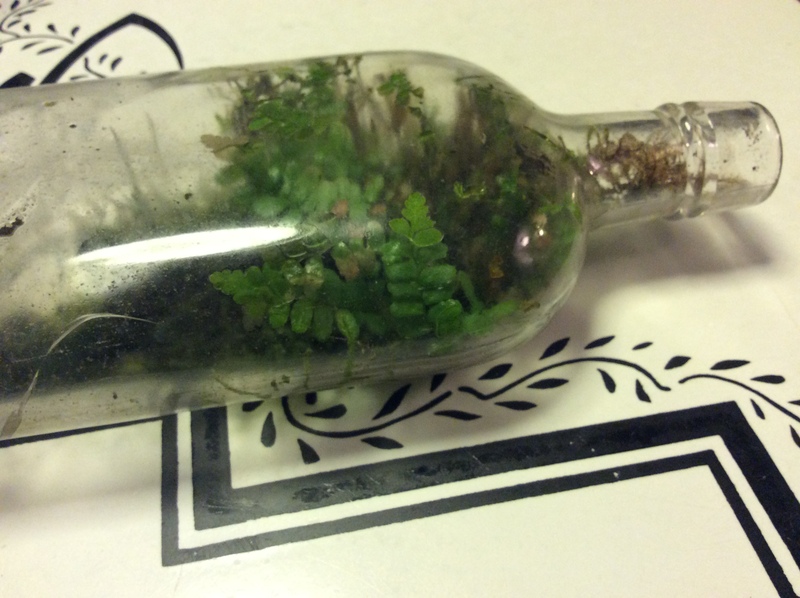 FYI - the Baltimore Bottle show is coming up this weekend. It is a big event and I would bet you would enjoy it. Perhaps I will see you there!